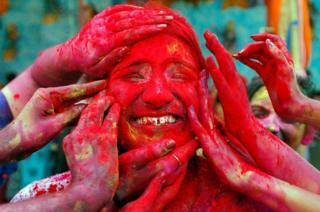 Image caption A woman reacts as devotees apply coloured powder on her face during celebrations for Holi outside a temple on the outskirts of Kolkata, India. 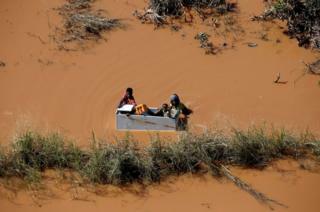 Image caption A child is transported on a fridge during floods following Cyclone Idai, outside Beira, Mozambique. Some 15,000 people still need to be rescued from the devastation caused by the cyclone. 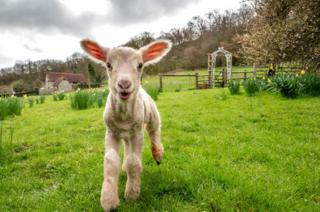 Image caption A day-old lamb exploring new surroundings on the vernal equinox - considered the first day of spring - at Coombes Farm in Lancing, England. 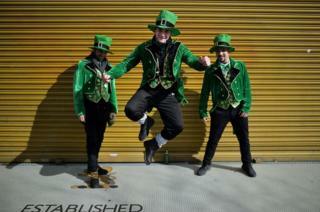 Image caption Revellers prepare for the Saint Patrick's Day parade in Dublin, Ireland. According to legend Saint Patrick used the three-leaved shamrock to explain the Holy Trinity to Irish pagans in the 5th century. 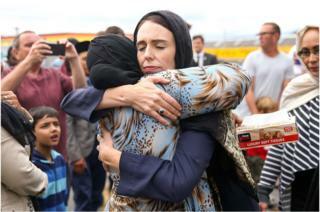 Image caption New Zealand Prime Minister Jacinda Ardern hugs a female member of the Muslim community in Wellington. Ms Ardern has called for a global fight to root out racist right-wing ideology following last week's deadly attack on two mosques in Christchurch. 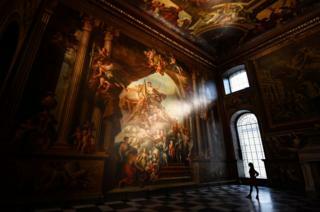 Image caption A gallery assistant looks at a fresco during the reopening of The Painted Hall, Old Royal Naval College in Greenwich, London. The highly-decorated ceiling had its first major restoration in more than half a century. 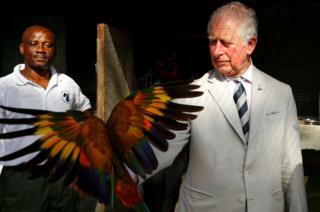 Image caption Prince Charles holds a Saint Vincent parrot at the Botanical Gardens in Kingstown during a visit to St Vincent and the Grenadines. The Prince of Wales and the Duchess of Cornwall are on a Royal visit to the Caribbean. 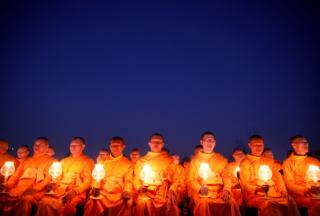 Image caption Monks with lit candles attend an event to spread the message of "world peace through inner peace" in Kathmandu, Nepal. 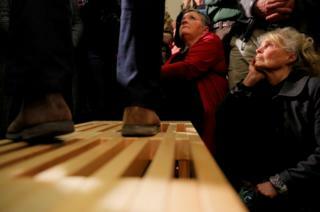 Image caption Audience members listen as Democratic US presidential candidate and former US Representative Beto O'Rourke speaks at a campaign stop at Keene State College in Keene, New Hampshire. In his first day of campaigning the Texas Democrat raised $6.1m (£4.6m), the largest of any 2020 candidate so far.